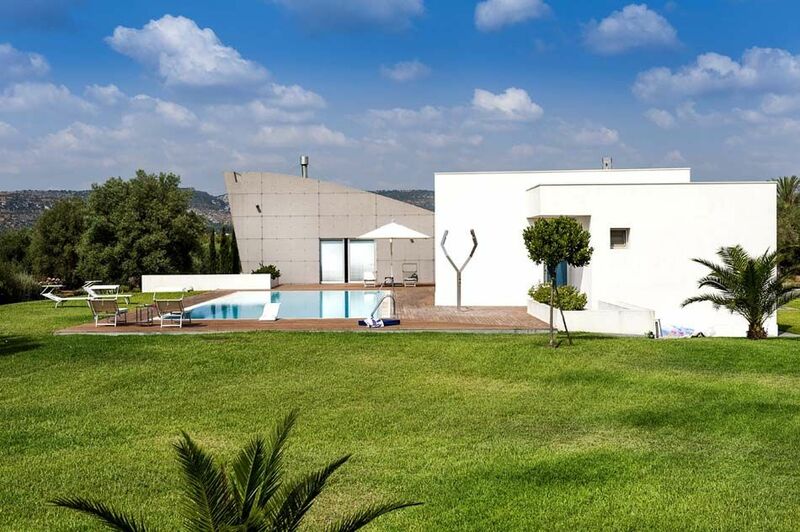 We are delighted to introduce yet another luxury property on Sicily... Villa Dalia - a luxury contemporary villa with private swimming pool in Syracuse. 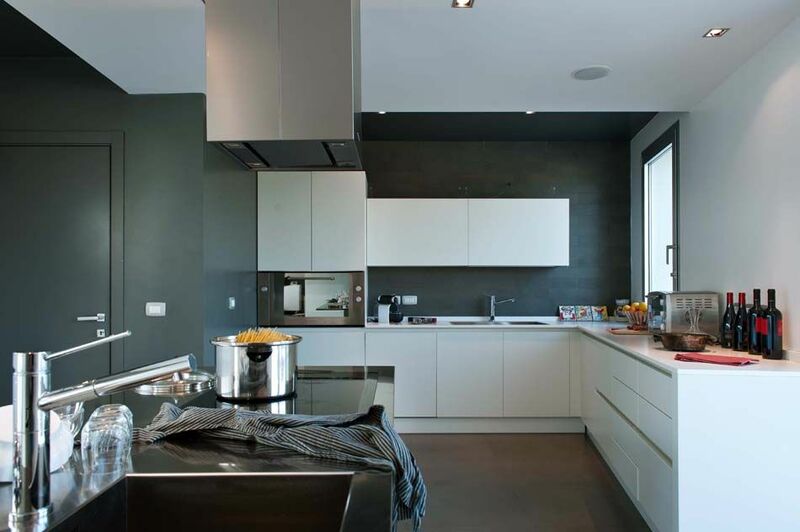 Fully furnished with contemporary pieces, boasting 6 bedrooms with en suite bathrooms, cinema room with projector, kitchen, living and dining room is perfect for a large family or a group of friends. Entering through an electronic gate you immediately get the feeling of this ‘state of the art' property surrounded by a lush and manicured garden that surrounds the villa. Villa Dalia features generous outdoor spaces, an area furnished for ‘Al Fresco' meals, outdoor swimming pool and solarium with changing room and bathroom. 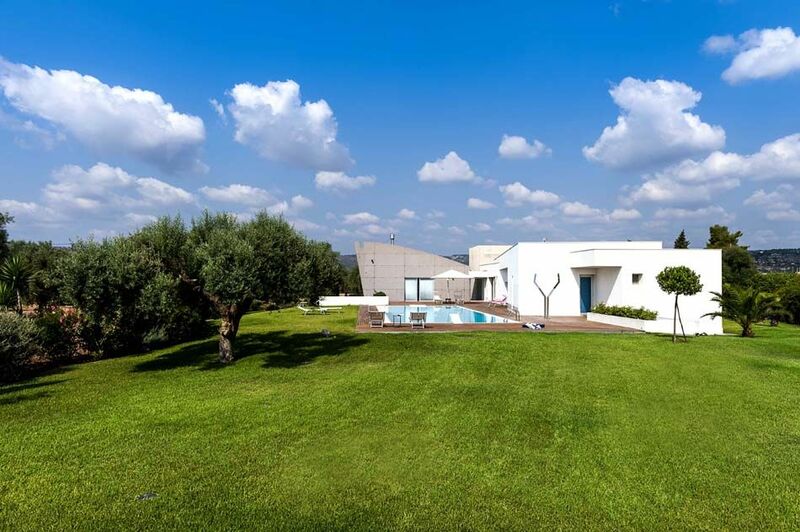 Villa Dalia can be considered a contemporary property designed with eco-friendly technology solutions - such as the photovoltaic, solar thermal, radiant heating and cooling systems and the Schüco aluminium thermal break frames. This two storey villa features on the ground floor the main entrance, modern kitchen with terrace, dining room with a table seating 12 people, living room with fire place, 1 double bedroom with en-suite bathroom with bath and hydro massage shower, 2 double bedrooms with en suite bathroom with shower and one twin bedroom with en-suite bathroom shower. On the lower floor 1 small studio equipped with kitchenette, one double bedroom, sofa bed and one bathroom with shower. 1 small studio with a twin bedroom and en suite bathroom with shower. On the same level there is a Cinema room fully equipped with projector, home theatre and sound system. The property is the perfect location to visit the south eastern side of Sicily, such Val di Noto, the Cavagrande and Vendicari Natural Reserves. It is located only a short drive away from the villa is the wonderful sandy beach of Fontane Bianche. Gas cooker consumption. Water consumption. Electricity: included up to 400 Kwh per week. Final cleaning. Bed linen: twice a week change. Pool towels with twice a week change. Bath towels: twice a week change. Table linen. Bedrooms and bathrooms cleaned: twice a week . Gym room. Parking: Private. Cot. Welcome basket. Electricity: usage above 400 Kwh per week charged at euro 0,40/kwh . 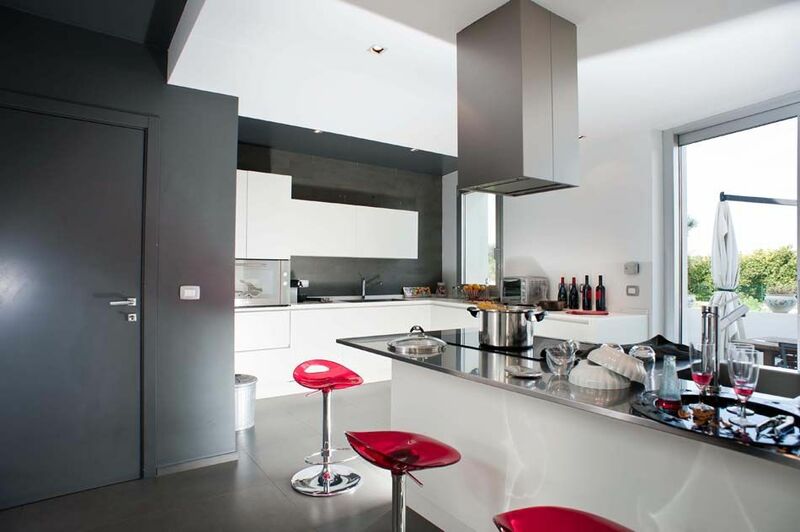 Heating: underfloor heating, usage above 400 Kwh per week, euro 0,40/kwh . Firewood. Air conditioning: usage above 400 Kwh per week charged at euro 0,40/kwh , underfloor heating. Security deposit 1000 euros to be paid in cash upon arrival.